Digital Gel Documentation and Analysis System (DgelDAS) is used in Bio chemistry and bio technology departments in institutions for Electro DNA study and research and developments in different education institutes as lab equipment. gel documentation system : the system is easy to use and allows you to capture and view real time gel images directly on the pc or lcd monitor. 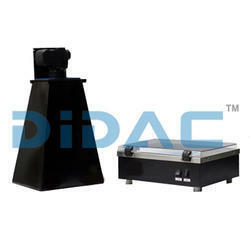 We are leading manufacturer, supplier and exporter of Gel Documentation System - Prime (Basic). We are engaged in offering wide range of Gel Documentation System . We procure these products from well known vendors across the globe. These are known for high accuracy and reliability. These are processed using high quality raw material. We are offering Gel Documentation System to our clients. It is extensively used in biochemistry and biotechnology departments for research and developments and various applications. Backed by years of professional experience in the domain, we are engaged in presenting quality Fluor Shot Vision. This Fluor shot vision is manufactured using high grade components and modern technology. Further, our offered Fluor shot vision is widely acknowledged by our clients for its flawless performance & reliability. We are highly acknowledged organization engaged in presenting a remarkable range of Gel Documentation Machine. Banking on the skills of our professionals, we are recommended amongst the clients for offering a quality range of Gel Documentation System. 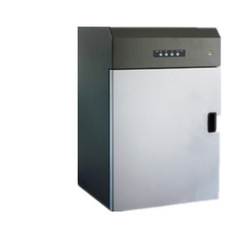 The Gel Documentation System is available in various specifications that can be customized as per clients requirements. Offered products are made by using quality material.